Display your treasured axe in style! 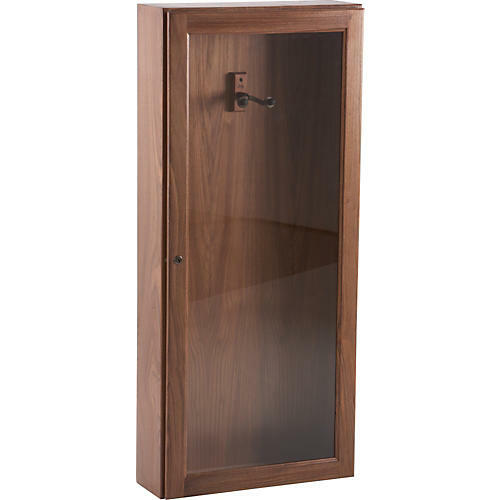 This high-quality display case is constructed out of genuine hardwood, with a plexiglass front window. A key lock helps keep your treasured instrument safe from mishandling. Mounting hardware is included, along with a hanger for your instrument and the case can be inverted so the door will swing open in a direction that best fits your decor. This case measures .20"W x 47"H x 6"D.